Ever since T and I got married and joined our checking accounts, we haven't been big on giving gifts to one another. But this year for Valentine's Day I asked for something that I really wanted. 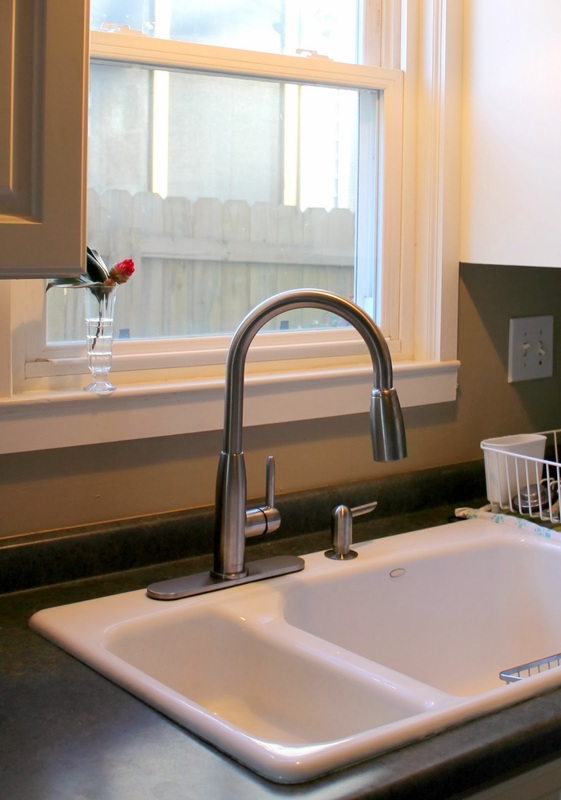 A new kitchen faucet. We didn't necessarily need a new one, the one we had was a little drippy but pretty much worked fine. But I really wanted a new one. 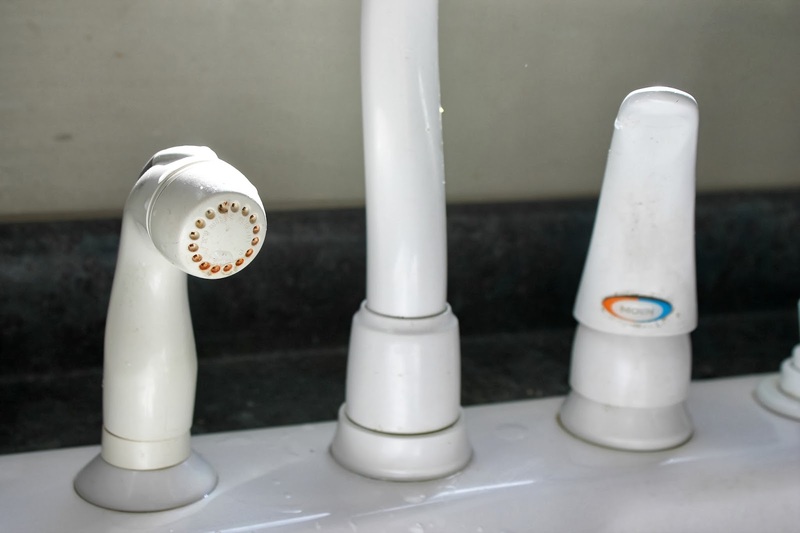 The current faucet that we had was just a little dated looking and had mildew and grime stains that I couldn't get off no matter how hard I scrubbed. And looking at stains and grime that were put there from one of the previous owners just really grossed me out. Yuck. 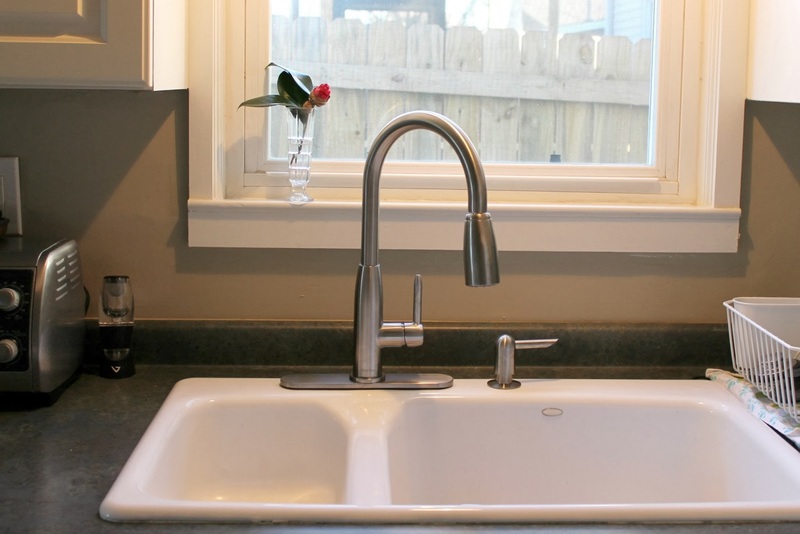 I researched different faucets for a few weeks, and loved the look of one after coming across it on Pawley's Island Posh. We only plan to be in this house for around five years, so I didn't want to go spending hundreds of dollars on something that I won't have for a decade. The price was just right, and the reviews I read were great. So, Saturday afternoon I ordered the faucet to be picked up at our Lowe's, and paid for it using Ebates so that I get my 4% back. I'm a big fan of this method, you get your cash back through Ebates plus you just go to the customer service counter at Lowe's and your product is there waiting for you. My real gift this Valentine's day was the installation. I just got to sit there an observe while sweet T laid under the sink with water dripping all over his face and installed this thing. Love that man. Doesn't it look great? It's amazing how updating one seemingly small thing can really transform a room. I'm in love with it's form and function. 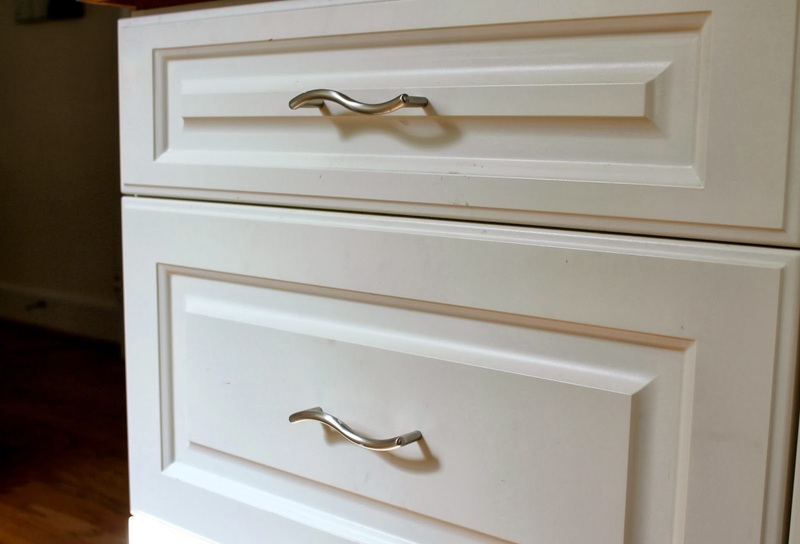 Next up on my list of kitchen projects: switch out these drawer pulls. Our kitchen is filled with drawers so we've got about 15 of these to replace. Maybe my birthday gift? I love the new faucet! It is amazing how small touches like that will totally change a room. Different cabinet pulls made one of our bathrooms liveable, I swear! He did GOOD! It is amazing what a difference it makes. Very elegant, love it! What a difference! You may as well spend money on something that is useful and looks pretty! I love the new faucet! 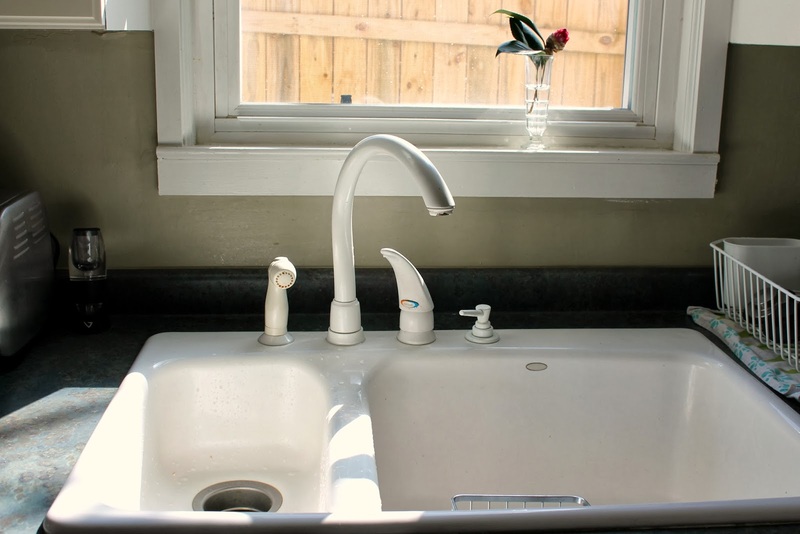 The white sink is so pretty too, much more character then a basic steel one! Ahh! I love changing out one piece for a whole new look- it looks great!